Anthem is a recently launched multiplayer action role-playing video game developed by BioWare and published by Electronic Arts. This online game is worldwide released for Xbox One, PS4 and Windows operating system. Just like other online games, this is not free from errors and bugs, the players were found reporting strange bugs and errors in the Anthem game. The Anthem gamers are experiencing various issues and errors such as matchmaking and server problem, connection problem, crashing issue, slow load times on console and many others. Therefore, today in this article I am going to list down the entire minor to critical Anthem issues from slow loading screen to awkward multiplayer choices with the complete fixes. So, without wasting time go through the article and try the solutions given to fix the Anthems issues and errors and start playing the game with ease. But before moving further it is very important to check the system requirements as if your OS doesn’t meet the Anthem game requirements it may cause issues. What You Need For Running Anthem Properly? For Windows support the Xbox One Wireless Controller and determined internet connection is required to play. Despite this the players having the minimum game requirements can also play the game fine bit if looking for smooth gameplay then makes sure to meet the recommended specifications. Now learn the Anthem issues and follow the fixes to get into the fight. And secondly, Anthem crash problem relates to the latest patch on the PS4 and PC. 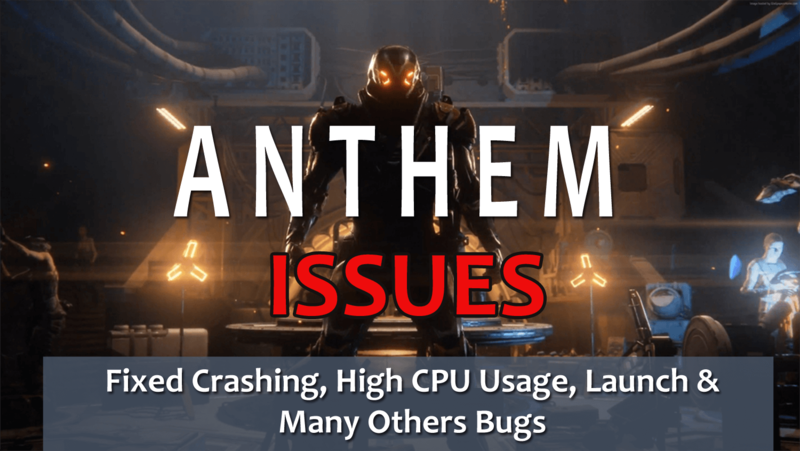 Well, these are the two irritating problems related to the Anthem crashing issues now check out the fixes to get rid of it. Solution: To fix the first issue, try to unlock your first Javelin, instead of going straight to Forge > go to Freeplay and complete Prospero’s mission. After that go back to Fort Tarsis and talk to Prospero before you go to Forge. This will fix the game crashes when you open the forge issue in Anthem. Now to fix the second crashing problem on PS4 with ERROR (CE-36329-3), this is the latest problem and no any exact fixes was released yet. But till then, try the given method boot the console in safe mode by holding down until you hear two beeps sound. And from there players need to choose the option labeled “Rebuild Database.” and as the process is completed the PS4 will start working. This is a common problem that the gamers are struggling with while playing the Anthem game. But this can be fixed by following the fixes given, so here check out the solutions and try it. Solution: Players are encountering the Javelin gets stuck issue when they are out in the world or when the Javelin encounters foliage, rocks or terrain and the bug occurs. To fix it you need to simply open your map > select Respawn, this helps you to fix Anthem Javelin stuck issue. This is another common Anthem issue encountered by the gamers they are not able to craft in Anthem game. Solution: You can fix this by doing a mission for Prospero, and this will unlock Crafting and allow you using the store. Before that, it does not work. Many players are reported that on PC they are not seeing Shards in the game or in Origin. Well, this is very irritating but can be fixed by trying certain tweaks. And restart Origin > Anthem again and check. However, if you don’t see them, then try restarting your PC and then open the Origin and Anthem again. While trying to download the Anthem EA Access early trial, gamers won’t see the game in EA Access issue. Solution: To fix the Anthem EA Access problem refresh the EA Access Hub and then you are able to see it. And to do this turns on your Xbox and Open EA Access. In the EA Access Hub,> hold LT, RT and Y to refresh. Choose the three dots > select Play Trial. Hope this works for you to fix the Anthem EA Access problem and you can start downloading and installing and playing the game. Crashing and launch issue is a common problem with every online game. 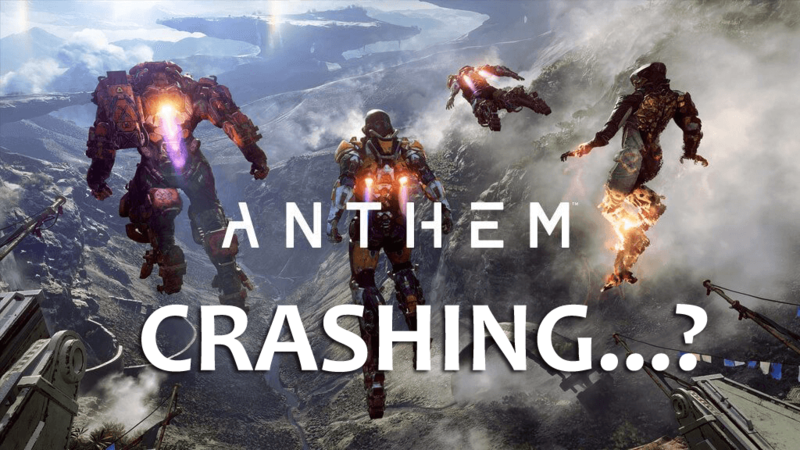 And the anthem players are also struggling with the game crashing and launching issues. Well, this is not something that can’t be fixed, try the solution given to resolve Anthem crashing and launch issues. Move the Anthem folder contents on the desktop to refresh Anthem settings: C://Users//”Username”//Documents//BioWare//Anthem//settings. If facing the random crash or freezing issues then set-up your Video Quality settings as these settings may cause the crash issue. Or if still the launch issue persists then disable the Windows Firewall and Antivirus program temporarily. Many gamers are found reporting about the Anthem download issues on the PC/laptop and on Xbox One and PS4 as well. Some users get stuck at 42% while downloading the game. Solution: If you are struggling the download issue on your PC, then you need to simply wait a while, this solved the problem for a player. It is also found that deleting “all the dx and vcdredist files” and after that restarting origin fixed the issue. And for the Xbox One or PS4, if the download is slow try pausing the download and restart it. This helps you to get a better connection and speed up thing. Despite this, you can try to connect your console to the internet with wired connection than that of wireless. This simple trick works for you to download fast. But if all fails then restart your console or computer and router and try all things again. 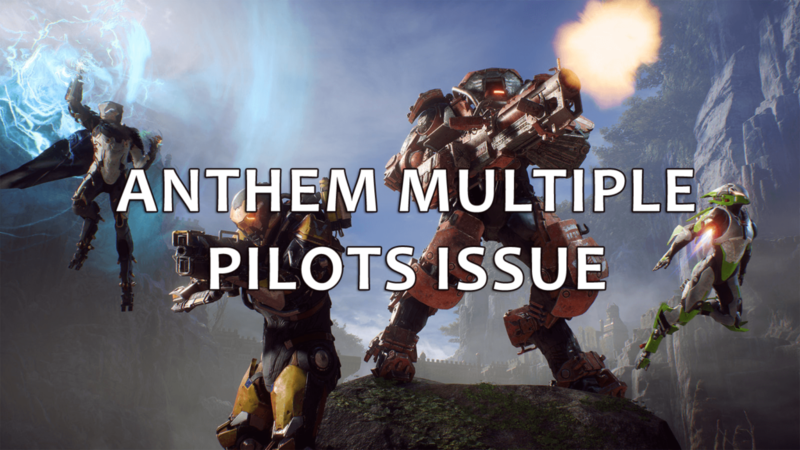 This is one of the common Anthem errors that many users are struggling with. Many gamers reported that there are unable to install the game on their PC or console. However, this can be fixed easily. Solution: One of the main reason responsible for the Anthem not installing is you don’t have enough storage space on your PC or console. Well, sometimes a game only requires a little space on your internal drive even if you are installing it on an external drive. But if in case the Anthem installation is frozen on Xbox One or PS4, then try turning console completely off and unplug it for a minute and try again. This really worked for many users to fix the Anthem installation issues on Xbox One X. So it is worth trying it facing the installation issue. Despite this, there are many other issues as well of this nature. And as far this issue also seems to be only on PlayStation 4, however some Xbox One owners have also reported the problem. Solution: Well, there is no official solution is being released to fix the Anthem Bricking consoles issues. 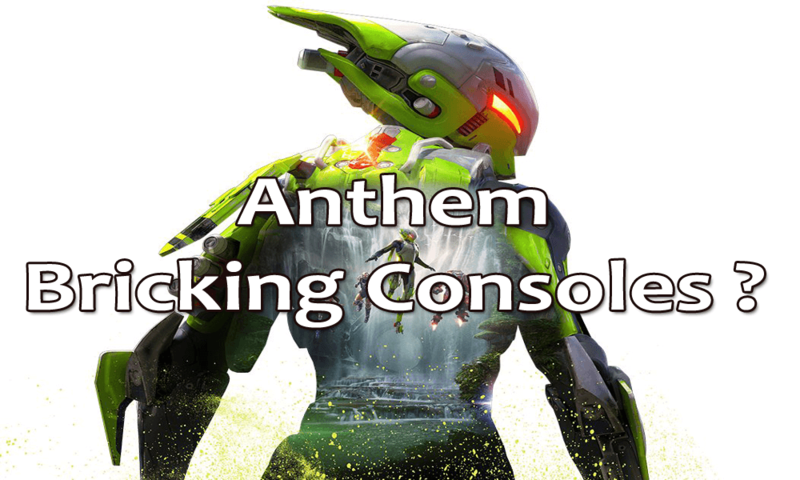 However, till then you can try to rebuild the PS4 database to fix your bricked PS4 issues in Anthem game. Follow the steps given in the guide to rebuilding the PS4 database. This is another issue that Xbox One users are reporting; they are unable to resume the game on Xbox One. It is known bug in Anthem, then gamers won’t reconnect or resume it. Solution: To fix this simply kill the title and re-launch it when you play next. Or else this sites on the reconnecting screen forever. Gamers are found reporting that the game doesn’t load or load slowly. Well, this can be fixed by following the given easy tweaks. Solution: To fix the Anthem problem wait for first 5 minutes and then try restarting but if in case that doesn’t work for you, then try repairing the file on PC/laptop through the launcher. “Anthem service is currently unavailable” is another Anthem game error. 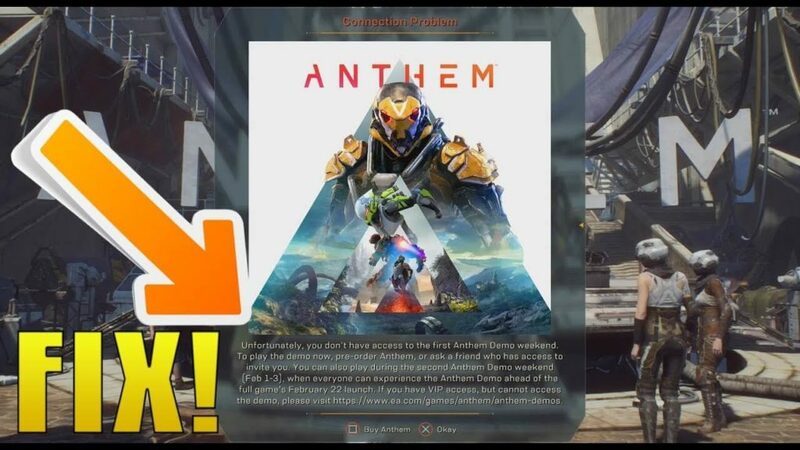 Gamers are found reporting server down the error in Anthem, however, this is not a real problem with the server and can be fixed easily. Solution: Well, the Anthem server is not really down, it is just overloaded and users can get in by trying again and again. Despite this, there is no official fix released yet. So till then keep on trying to connect it. Anthem slow load time is a very irritating problem that many gamers are struggling with and found reporting. Well, the community is aware of the issue and still working on it. However, it is also confirmed that slow Anthem loading issue is limited to the original and Slim PS4, Xbox One and Xbox One S and is still not present on Xbox One X or PS4 Pro. Solution: As I said above the community is still working on the issue, so no exact solution is yet confirmed. Also, the original Xbox One and PS4 might have increased the load times, so just wait for it to load. Or else you can also try an external SSD to fix the Anthem slow load time issue. Moreover, you can also make use of the Game Booster to boost the game performance and increase the FPS issue in your game. The Anthem Legion of Dawn rewards issue is encountered by many gamers. The reports are coming they are unable to collect Legion of Dawn rewards. Well, this is not a major issue the gamers need to collect follow some steps. Solution: Origin Access Premier Members are able to collect Legion of Dawn rewards, but to do so follow some steps. And talk to Prospero at a stall in Fort Tarsis. Then talk to him again. And then claim items in the Rewards tab. If in case you still cannot get rewards, then uninstall the Legion of Dawn Edition Upgrade and Anthem Pre-Order bonus DLC from the console and then reinstall them. The gamers are facing the Anthem connection problem. This is quite irritating but can be fixed by following certain fixes. 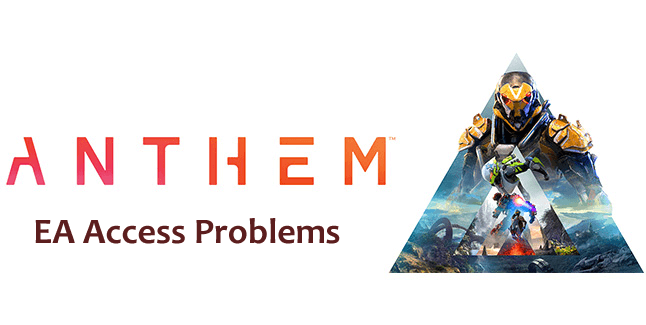 Solution: The users who are unable to connect to Anthem can check the Anthem Server status and also the status of PSN and Xbox Live. If in case the servers are online, then follow some steps to fix the issue. But first check if you can connect with any other games or not, if you are having issues then should restart your modem and your console. Another option is you can try plugging into a wired connection, or else use a better wireless router. Or else you can adjust your settings to fix NAT problems or adjust your settings on Router. If you are disconnected you will not lose loot, you can join a different server every time you start a game. These will shut down regularly and at the time they do this you can see a message “Server shutting down in X hours.” This doesn’t mean the entire servers are going offline for maintenance but the server you are playing on is going offline and restarting. This is another irritating Anthem error the gamers are reporting. Follow the given solutions to fix it. Start the game > tap out > click on Origin and open Application settings. Then leave the window in back > tab back into the game. This may sound strange but helped many and lower the CPU issue in Anthem. The low FPS issue is a common issue in the online game and so does in Anthem. Gamers are experiencing the low FPS issue on NVIDIA GPU while playing the game. Texture filtering > trilinear optimization > ON. Texture filtering quality > PERFORMANCE. And Texture filtering anisotropic sample optimization > ON. Hope this helps you to fix the low FPS issue in Anthem game. Solution: To fix the sound issues in Anthem try the given fixes. First, open the audio drivers UI > change the default format to 24bits 44100hz or 16bit 44100. This helps you to fix the audio cutout and drop problem. As the repair is done, the Soundtrack folder would be rebuilt and the soundtracks are set in the correct order. This is a lesser known issue, on some occasions the players are facing the multiple pilots after a crash the game start with a new pilot. Allow the game to connect to live services. Now the main pilot is loaded. There are lots of bugs, issues, and errors in Anthem game and the performance is the quite decent one that hinders the gamers playing experience. Well, this is not new it is often encountered by the players while playing the online games. Solution: To fix the performance issue first update the drivers. The NVIDIA based system’s users update the NVIDIA drivers to latest game ready drivers 419.17 for optimizing the gaming performance. The AMD based system users should update the latest AMD Drivers for your GPU and increase the Anthem performance. To update the drivers easily you can make use of the Driver Booster, this helps you to update the drivers easily, just by scanning once automatically. Despite this also stop the apps running in the background, update the Windows OS with the latest update, disable and re-enable the latest Direct X version and restart the game. Hope this works for you to fix the Anthem game performance issue. 21: Delay with Alliance Coin rewards – Well, these are not delivered rapidly as the timer resets; you need to wait for a few hours of processing time before using them. 22: Origin Access Premier Error – Some gamers are struggling with can’t play Anthem after upgrading to Origin Access Premier and to fix it click on My Game Library > Upgrade Game and this allow you to play the game. 23: Missing characters – This is not an issue or error sometimes the characters don’t load whiles certain cutscenes in the game. 24: DLSS Issue – To fix it, Nvidia RTX GPUs users make sure the graphics card is updated, and update Windows to latest version 1809. 25: Graphical Tearing – The issue appears because of the game running at a higher refresh rate than the monitor can handle. So, disable the v-sync to reduce graphical tearing, but you are still facing tearing issue then toggle v-sync to ON in-game setting to fix the issue. Well, I had done my job; I tried my best to put together the entire Anthem errors, bugs issues encountered by the gamers. Check out the different Anthem game bugs from freezing, low FPS to high CPU usage & more that hinder the gaming experience. 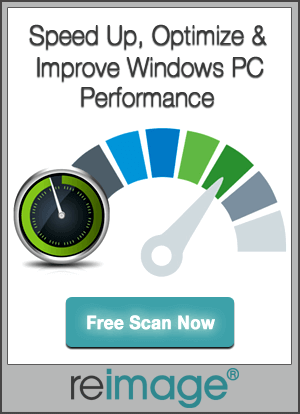 Moreover, if looking to enhance Windows PC performance and fix other PC/laptops errors then scan your system with safe and secure PC Repair Tool. 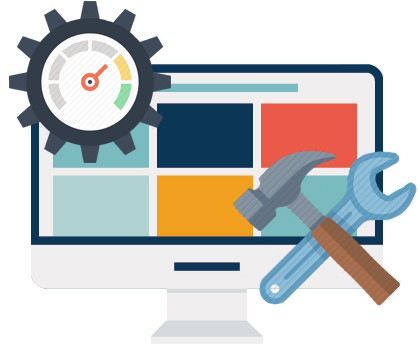 Well, sometimes due to the PC related errors, the gamers encountered issues or bugs in the game also so make sure to make your system error free just by scanning your system once with the automatic PC error repair tool. Also, if you are having any issues, queries, comments then feel free to share it with us. You can contact us on the http://ask.pcerror-fix.com. Download Game Booster to Enhance Game FPS &More! Save GameManager: Never lose a save game again.